This article explains how your nsProtect® Assured Site Seal will be validated and issued and actions you may need to take to complete these steps. You manage the validation and installation process for your nsProtect Assured Site Seal through your Network Solutions® Account Manager. 2. Click the My Protects & Services tab. 3. Scroll down and click the My Security Products link; the details page appears of your nsProtect Assured Site Seal. If you have more than one nsProtect Assured Site Seal in your account, click a package name to see the details for each site seal . 4. Assign the appropriate domain to which the nsProtect Assured Site Seal will be associated. If you have more than one nsProtect Assured Site Seal product, then select the specific Site Seal that need to configure. 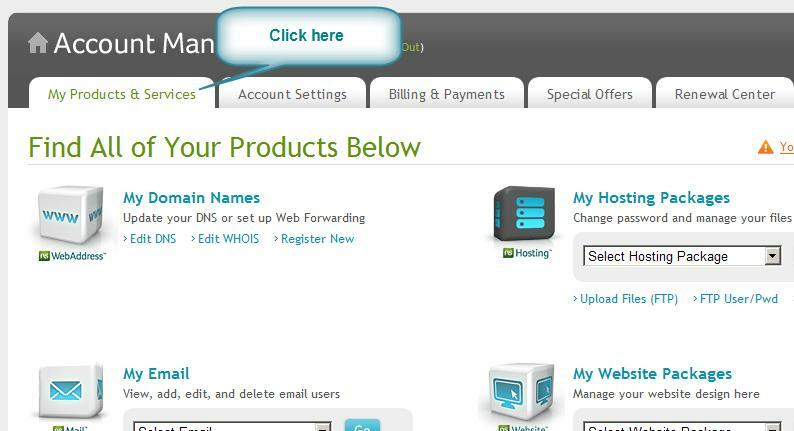 You can select a domain name from your account or enter a domain manually. 5. Complete the necessary validation information and documentation. Important: We cannot begin the validation process until all information is provided. Once we have received all required documents the validation process will take two to four business days with the purchase of the nsProtect Assured Site Seal. We cannot issue your nsProtect Assured Site Seal until the validation process is completed. 6. Generate your nsProtect Assured Site Seal. 7. For either order, Business or Individual, follow the process further down in this article. 8. After your nsProtect Assured Site Seal has been validated, generate and install a Site Seal on your website. In the Account Manager, select the Seal Design—color and layout—of your choice. Click Generate Code. 9. Then install the code for your seal on your website pages. If you have any questions or need assistance, please contact a nsProtect Assured Site Seal specialist 24 hours a day, seven days a week, at sslsupport@networksolutions.com or toll-free at 877-228-1023. Note: The term for any nsProtectTM Assured Site Seal you have purchased will begin either 90 days from the purchase date—even if your Certificate has not been issued at that time—or at the date of issuance, whichever comes first.